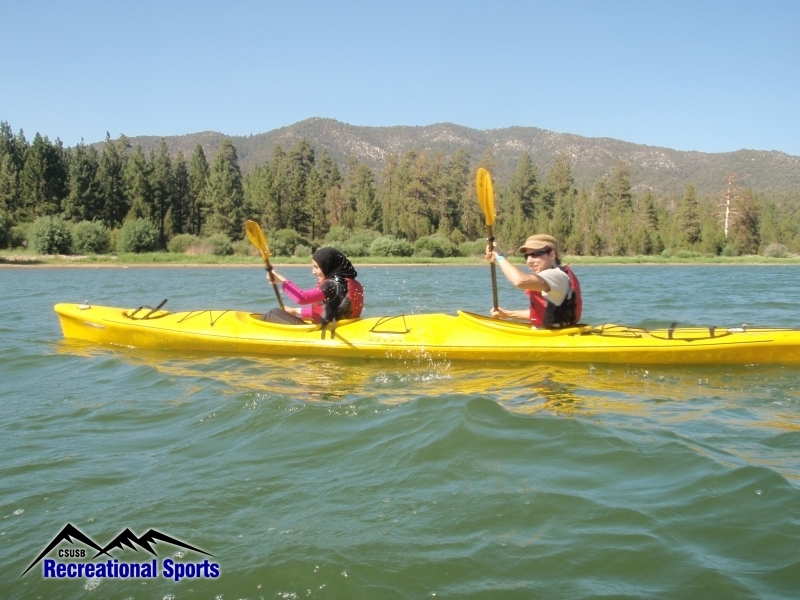 CSUSB offers new and motivating ways to explore the great outdoors by offering a variety of trips for everyone. Whether it be a hike in the local mountains, an overnight camping trip to a local beach, state or national park, backpacking in the wilderness, snowboarding in local mountain resorts, surfing in California’s beaches, kayaking in the river, the bay, or the ocean. The trips that are available are not only designed for students. They are also designed for faculty, staff, alumni members, affiliates, and community members. “I think it’s great that these trips are offered to just about anyone and not only students and staff because then our entire community can be a part of all these outdoor experiences, which I think is pretty cool,” said student Aldair Ocampo. CSUSB Outdoors’ mission is to provide the community with a diverse range of outdoor recreational and educational opportunities. They incorporate “Leave No Trace”/ cultural and historic knowledge about the areas they visit. Participants learn how to recreate safely in the great outdoors, while developing an appreciation and understanding of natural surroundings. As well as, experiencing personal growth, leadership development and teamwork. “It’s nice to be able to have these resources available to us because with an overload of units, work, and overall so much stress, it’s nice to take a break and clear your head in the mist of wilderness,” said student Yvonne Rojas. To register, participants must register in person at the CSUSB Student Recreation and Wellness Center or at the Palm Dessert Campus Administrative Offices (RG 203). CSUSB students and SRWC members are offered the lowest prices. “I think all of the trips are great, especially if you are a student because student prices are the cheapest,” said SRWC employee Jake Arnett. The trips CSUSB has to offer range in many different ways. Yet, no previous experience is required. All trips include qualified leaders, activity instruction, transportation, all camping and entrance fees and specialized equipment. Most of the trips also include a few meals. A few trips even include community service. “I went to Costa Rica last spring break on a community service trip and the participants are amazing people,” said student Mika Bell. If community service is not of the participant’s interest there are still many other options available. More information about each individual trip can be found in the SRWC outdoors calendar. There any eligible participants can gain detailed information about different dates, locations, and duration of the trips. To encourage students, faculty, staff, alumni association members, affiliates, and community members to participate. The SRWC has created four activity levels. The first level is a relaxed level ranging from 1-3 hours of activity per day. The second level is an easy active level consisting of 2-5 hours of activity per day. The third level is a moderate level ranging from 4-6 hours per day. Finally, the fourth level is the vigorous level consisting of 5-8 hours per day. SWRC invites and encourages everyone to participate in what could be the greatest adventure. Whether it be a hike to the Hollywood Sign, backpacking through Yosemite, or kayaking the Black Canyon. There is a trip designed for just about everyone. Be sure to join the pack and plan a trip with CSUSB.